Antarctic Peninsula Adventure – The Great Canadian Travel Co.
Hardy adventurers or those with a yen for history can camp out on the Antarctic ice overnight and feel the thrill and audacity of early explorers who attempted to conquer this continent. Availability changes daily so please contact us for the most up to date availability and pricing for the cruise of your choice. Prices are shown in US$, per person, based on three people sharing a triple cabin, two people in a twin or one person in a single cabin. Whether we wake up in Ushuaia or fly in this day, we will make time to view this small city at the base of a stunning mountain range. Jagged mountains tower above the harbour as civilization clings to the shoreline. We will board our One Ocean Expeditions vessel in the late afternoon and as we “throw the lines” and leave the dock, our adventure will begin. 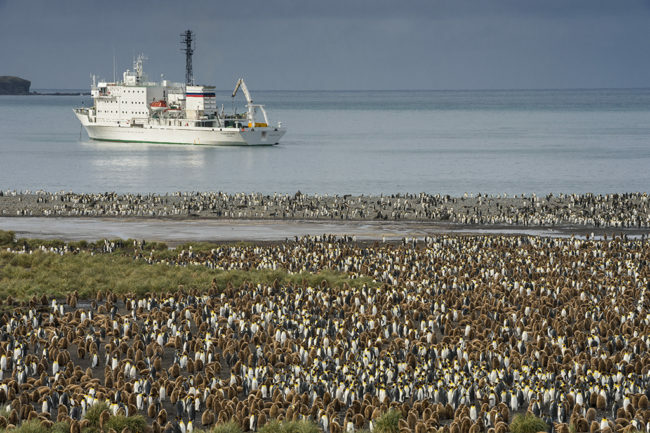 From the first moment, we will encourage you to be outside on the excellent viewing decks of the ship, watching for the soaring black-browed albatross or perhaps over the side of the ship for the porpoising Magallenic penguins. 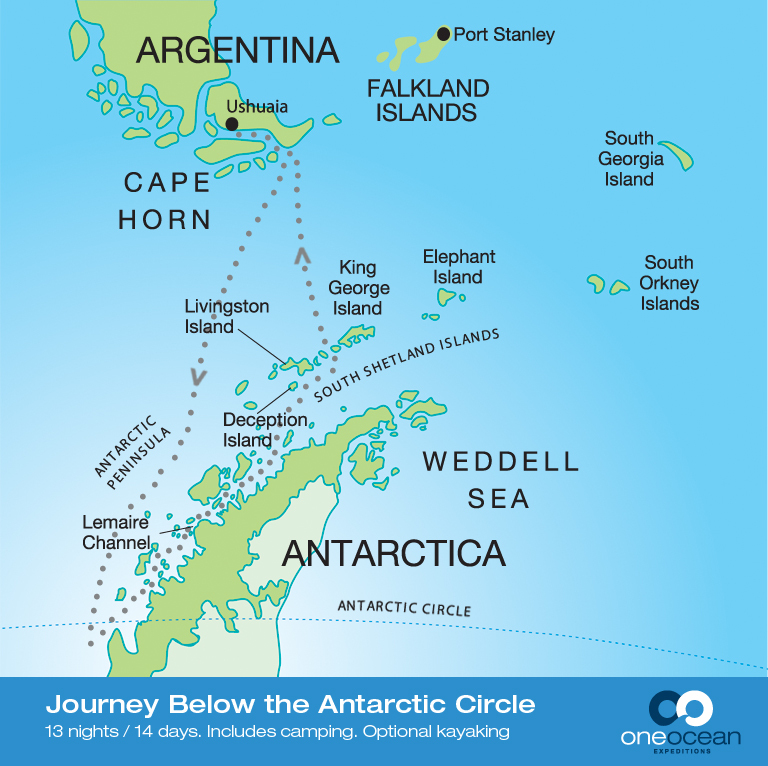 We will bear eastwards down the Beagle Channel, heading for the rolling swell of the Drake Passage and an adventure of a lifetime. We will awake to the ‘hopefully’ gentle motion of the ship, rolling in the swells of the Drake Passage. This famed passage is known for the challenging weather conditions that it posed to the famous square-rigged ships of the sailing era. The excitement on the ship is palpable as the miles drift by. New friends will be made and stories will be told as the days pass. 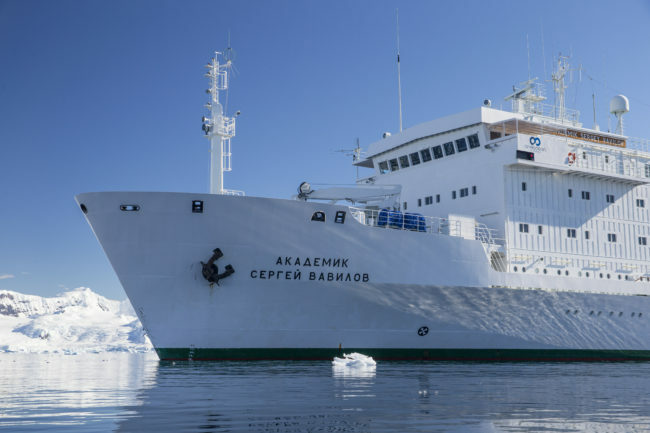 On-board entertainment in the form of educational presentations about the Southern Ocean, Antarctic wildlife, glaciers, ice and exploration history will be punctuated by sumptuous meals and the announcements from our staff as a new species of bird is spotted. 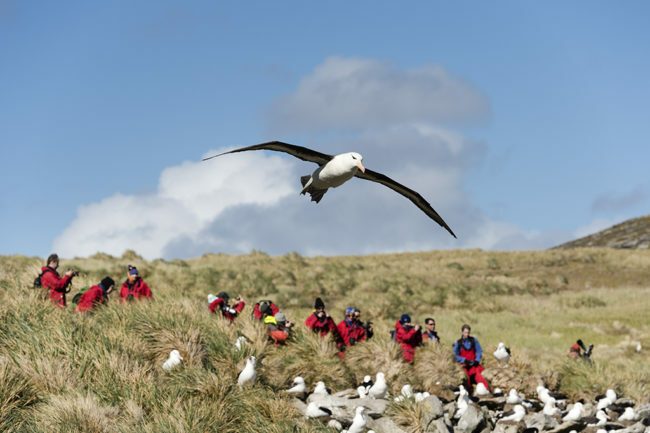 Who can resist the lure of the great Wandering albatross, that bird that soared to fame in the lines of “The Rhyme of the Ancient Mariner”? Perhaps a whale spout on the horizon or a spectacular iceberg will have us rushing to the rail. Whatever it is, keep your ears peeled and a warm jacket nearby so that you too can rush to the outer decks for a view. A distinct drop in temperature as we go along confirms the crossing of the Antarctic convergence into the waters of the Antarctic Ocean. 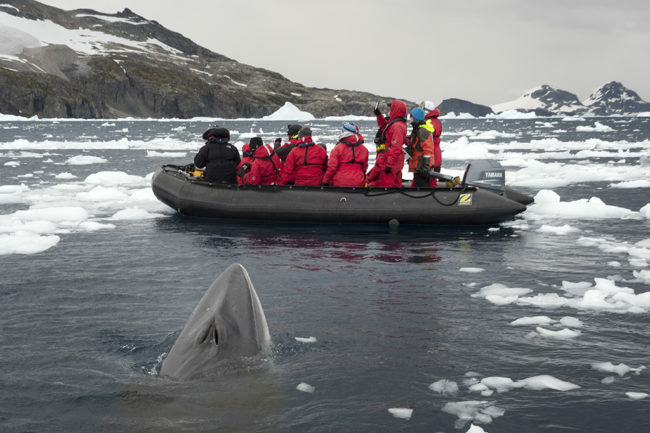 In the waterways of the Antarctic Peninsula we explore by inflatable Zodiac boats to marvel up close at Nature’s glory. Excursions may include Neko Harbour, Wilhelmina Bay and the southerly Petermann Island, where we will observe Weddell, carbeater and elephant seals, skuas and other seabirds and an abundance of penguins, including some large colonies of the comical Adelie penguin. At Half Moon Island we see a colony of chinstrap penguins, fur seals and blue-eyed shags. 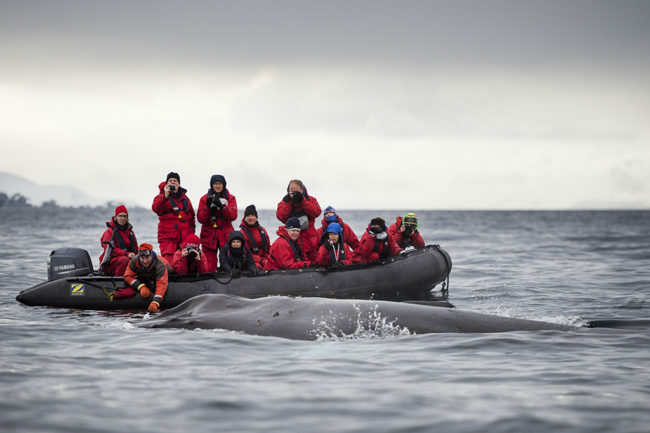 We may even spot Humpback, Orca and Minke whales as we continue along to the continent of Antarctica. 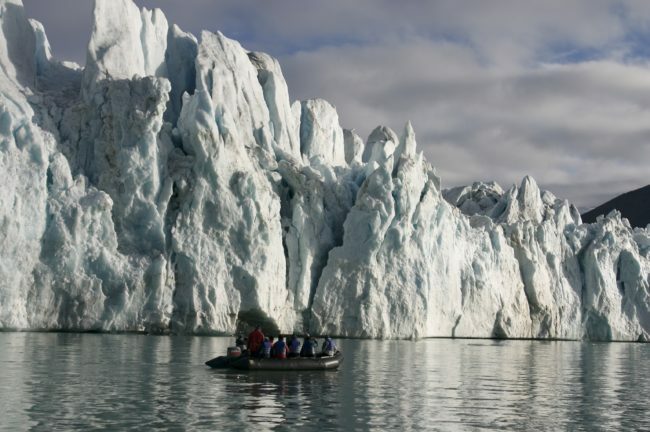 Prepare to be dazzled by the scenery here, the sculptured icebergs and the colossal “tabular” icebergs that break away from the continent’s ice shelf. Weather permitting you can walk on the White Continent itself and some may wish to camp onshore. Expect to feel transformed as you experience twilight from the very bottom of the planet. As we leave this magical area and head north, across the Antarctic Convergence and the Drake Passage before rounding Cape Horn from west to east, we will reflect on the wonderful experiences of the last few days and share remembrances with our fellow travellers. We will approach the Beagle Channel and sail westwards up it toward the port and town of Ushuaia. We will encourage the captain to join us in the dining room as we celebrate the conclusion of our Polar expedition at a farewell dinner. The mood will change as we awake this morning and plan our departure from the ship and the trans-continental or trans-ocean travel that will take us back to our homes and families. Returning home, we will find it easy to slip mentally back onto the decks of a ship rolling to the tempo of the Southern Ocean as we recount stories of our adventures to friends and families. This is truly an adventure to last a lifetime! After spending 11 days exploring Antarctica, you will leave with a completely different perspective than when you arrived.